Nest is expanding from smart thermostats and smoke detectors into the home audio business, at least according to a new job posting. 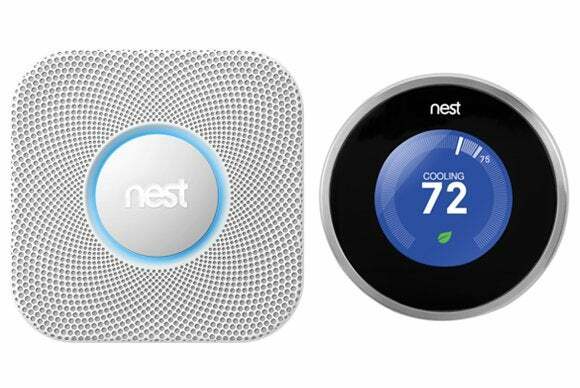 Nest currently sells three smart home products: Its Learning Thermostat can adjust the temperature through a smartphone app and detect when users are at home or away, and its Protect smoke detector can issue spoken warnings for minor problems before sounding an alarm. Nest also acquired Dropcam, a maker of home monitoring cameras, in June. But in addition to making standalone products, Nest has also been connecting its products to each other and to other smart home devices. Philips Hue lightbulbs, for instance, can flash when Protect senses a problem, and smart locks from August and Kwikset can help the Learning Thermostat figure out when you're not at home. While it's unclear what Nest is cooking up on the audio front, it's easy to imagine speaker systems tying into all these other connections. Perhaps the Protect could alert you through your bedroom speakers when it detects smoke in the basement, or your living room speakers could start playing relaxing music when the Thermostat sees you've come home after work. Why this matters: Nest's self-proclaimed mission is to “take the unloved products in your home and make simple, beautiful, thoughtful things.” While that sounds nice, smart homes aren't going to be that interesting if they're too focused on utilitarian things like smoke detectors and thermostats. A move into home audio could help bring some much-needed joy to the equation.